Printed in Vienna, 1922. 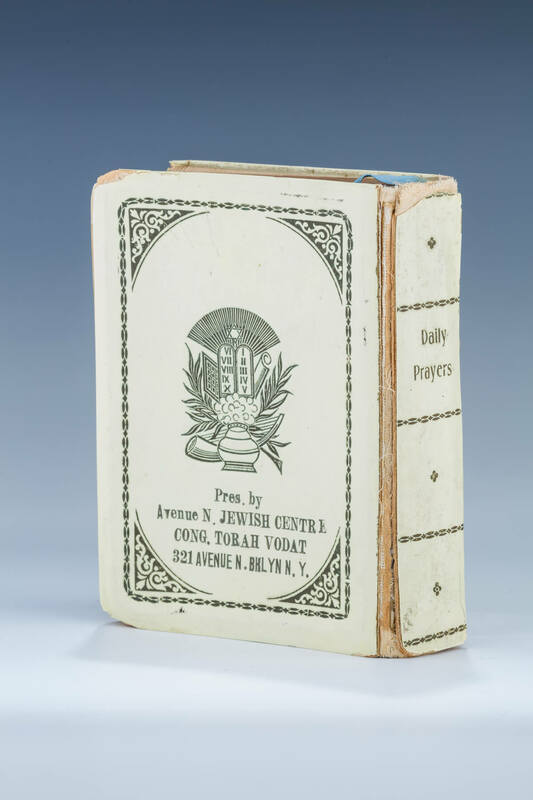 Titled “THE FORM OF DAILY PRAYERS ACCORDING TO THE CUSTOM OF THE GERMAN AND POLISH JEWS”. Published by H. Wagner. Many notations in hand written pencil as if someone were receiving instructions on what prayers to recite/not to recite. Possibly by Monroe when she was learning her newly adopted religion or Arthur Miller. Marilyn Monroe who converted to Judaism in 1956 at the same time as he marriage to American playwright Arthur Miller. Rabbi Robert Goldberg of Connecticut presided over her conversion. Miller’s synagogue was Cong. Torah Vodat-The Avenue N Jewish Center which was reportedly Conservative at the time. Monroe and Miller divorced in 1961 but remained committed to her new religion. Sold in Christie’s in the October 27/28, 1999 sale. Lot number 543. With original Christie’s sticker affixed to back cover. Worn with spine nearly detached.